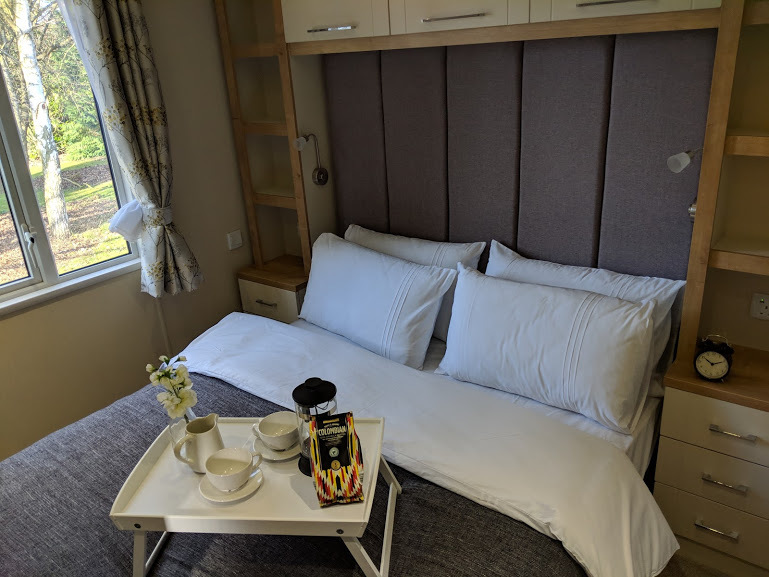 Whether you are planning a short getaway, a romantic break with a loved one or a celebratory weekend with friends, we hope at Daisy Bank we have everything covered for you. 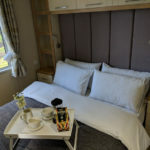 You will arrive at one of our lodges to find everything cosy and ready for you, a home from home in the countryside. 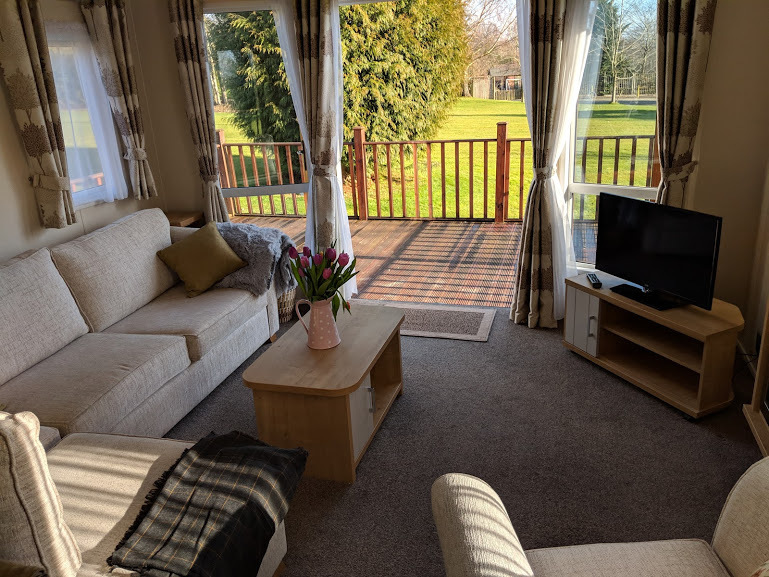 The lodges are fully equipped with everything you could want for a stress-free break. All bedding is provided, as are plenty of towels. The master bedroom has a king size bed and is en-suite. 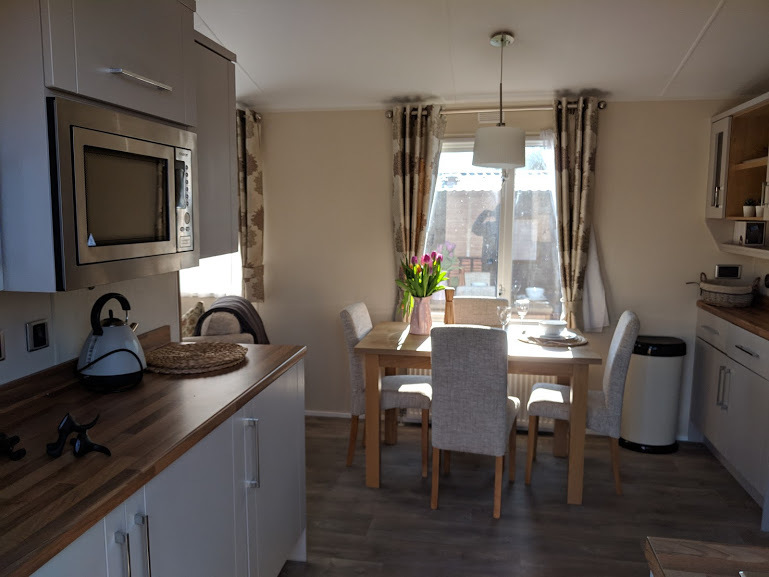 The kitchen has a gas cooker, microwave and dishwasher. Well behaved dogs are permitted.They must not be allowed onto furniture or beds and must be on a lead around the park. There is a charge of £20 per stay for dogs. By placing a booking with Daisy Bank you (the lead guest) and your booking party (guests) agree to the following terms and conditions as set-out. During your stay you agree to abide by the subsequent conditions as set-out. If you have any questions about booking with us, please contact us before making a booking.To place a booking all members of the party must be 18 years or over. Each lodge is available for a maximum of 4 guests. 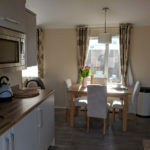 Where the person making the booking is different to the lead guest taking up the occupation, the person making the booking may be held responsible for cancellation,non-arrival and damages as set-out within. Only the lead guest and the named booking party are allowed to use the property and its facilities, any third party visitors are only allowed access at our express permission.To secure any booking we require a deposit to be paid in advance, this deposit amount is 25% of the total amount. Payments can be made / over the phone using debit / credit card as well as by digital bank transfer, cheque or cash deposit. Any charges raised against us by our banks for handling dishonoured cheque’s, bank transfers or any other payments, must be reimbursed by the lead guest within seven (7) days of any request to do so. 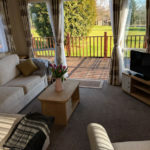 Payment of the full cost of the holiday must be paid made 28 days prior to the start of the booking.All guests agree to respect the privacy and peace of all other staying guests, neighbours and the owners at all times. We reserve the right to cancel a booking with immediate effect if guests are not honouring this agreement or causing a disturbance / nuisance to other guests, neighbours or the owners. Any late arrival arrangements must be made with Daisy Bank at time of booking. The Internet access provided is intended for general use such as access to the world wide web, email, messaging, social media. It is not intended or ideally suited for heavy media streaming, online gaming, extensive downloads / uploads. Access to illegal activity or use of our network for illegal activity is not prohibited and will be reported to local authorities. Do not book if you expect unlimited internet access or are reliant on this for work purposes. We reserve the right to charge the lead guest for any damages caused through the course of a booking by any member of the booking party. This includes breakages, spillages, stains, damage to furniture or fixtures and fittings. Any accidental damages should be reported as soon as possible in order to minimise damage and associated costs. Lost keys will incur a replacement charge per key. We accept up to 2 well behaved and well socialised dogs per unit. Dogs must be kept on a lead around the park but may be let off on the designated dog walk. Dogs must under no circumstances go on any of the furniture or be left unattended inside the lodge.